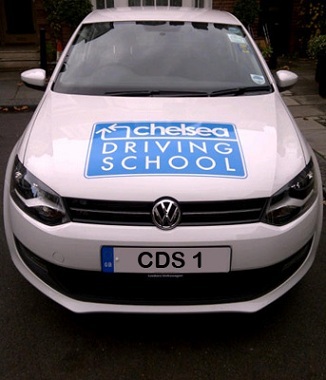 Choosing a driving school in Brixton can be a daunting business so here at Chelsea Driving School we will try and make it easy for you - quite simply if you want access to only the best, most experienced driving instructors in Brixton then we believe our instructors meet that description! As a motoring school in Brixton we only take on the best instructors, with the majority qualified to Grade A standard as determined by the Driving Standards Agency, which ensures that your driving lessons in Brixton are of the highest quality. This will not only ensure that you pass your driving test in Brixton and obtain your driving licence as soon as possible but that your driving tuition in Brixton will set you up for years of safe driving. Once our instructors have assessed you in the first lesson they will develop a bespoke driver training course for you in Brixton that will ensure you benefit from every minute you spend behind the wheel. Once your instructor believes you are ready you will take a 'mock' test with one of our Grade A qualified instructors to give you a second opinion and make sure that you are ready. This is to ensure that we get you through the driving test as soon as possible but without wasting your time and money by sending you for a test you are not quite ready for. We also provide automatic driving lessons in Briton. These are provided by our specially trained and qualified automatic driving instructors.